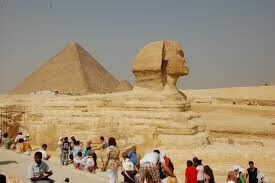 Heavenly International Tours specializes in Egypt tour packages from South Africa. Egypt’s history spans over 5,000 years and has so much to offer. 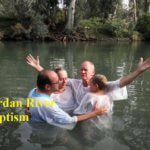 Our Egypt tours from South Africa can be taken as a combination wit a tour to Israel – The Holy Land for Christians. Our tours combine the best of Egypt with high class of hotels. Visit the Pyramids at Giza, the Sphinx and take a Nile Cruise to visit the mighty temples, built by the great King Pharaoh Kings or enjoy a holiday package and scuba diving in Sharem-El-Sheich . For lowest fare flights you can book online on Egypt Air. On arrival at Cairo International Airport, meet our Cairo operator and transferred to your 5 star hotel, situated close to the pyramids, on a bed & breakfast basis. In the early afternoon you will visit Old Cairo where you will visit the Citadel overlooking the city of Cairo, Mohammed Aly Alabaster Mosque, Coptic Hanging Church, St Sergius Church and the famous medieval Khan El Khalili Bazaar. Visit the Pyramids of Giza. A visit to Pyramids is on every world traveler’s must-see list. Cheops Pyramid, the largest of the three with an original height of 496 feet , was built in the 3rd dynasty about 2690 B.C. and is one of the Seven Wonders of the Ancient World. In front of the Pyramids of Chephren, we will find the colossal statue of the Great Sphinx, which has stood guard over the pyramids for more than 4,500 years. The Sphinx carved from a single piece of stone; it is a lion with a Pharaoh’s head thought to be a portrait of the Pharaoh Chephren. Here we will be provided an opportunity to ride a camel by the Pyramids area. Discover the greatest collection of Pharaonic treasures in the world at the famous Egyptian Museum. See the unique collection of Pharaonic art, starting with the Old Kingdom Collection, on to the Middle and New Kingdom galleries and Greco-Roman periods and the famous Tut-Ankh-Amon treasures. Apon arrival you will be met & transferred to your cruise ship Nile goddess where you settle into your cabin. Lunch ob board. Visit Philae temple , the high dam & the unfinished obelisk & sail on the Nile by Felucca. The Temple of Isis in Philae is one of the greatest Temples in Egypt and it occupies about a quarter of the island. It is the main Temple on the island, with its huge, complete, pylons and beautiful scenes. 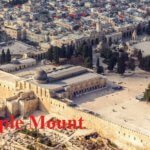 The Temple is built in the same style as the Temples of the New Kingdom, as well as some other elements, which appeared in the Greco-Roman period, such as the Mamisi (the House of the divine birth of Horus), and a Nilometer. but the Temple became submerged after the first Aswan dam was built in 1906. 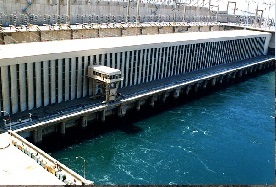 The High Dam of Aswan is a great project. In fact it was one of the most important achievements of the in the last century in Egypt, even for many years it was a symbol of the New Era of the Revolution of 1952. It provided Egypt with water and electricity and secured the country of the risk of the destructive inundation of the River Nile. The Unfinished Obelisk lies, in its original location, in a granite quarry in Aswan. It is 42m in length and was most probably abandoned when some cracks appeared in the rock, during its construction. Had this obelisk been completed, it would have been the heaviest obelisk ever cut in Ancient Egypt, weighing nearly 1100 tons! 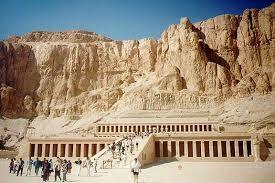 It is believed that it was constructed and abandoned during the reign of Queen Hatshepsut (18th Dynasty). Sail to Kom Ombo. Visit the Temple shared by two gods Sobek & Haeroris in Kom Ombo. The Temple of Kom Ombo stands on the east bank of the Nile, right next to the river, about 4Km from the town. It was dedicated to two Gods, Horus and Sobek The Temple was mainly dedicated to the God Sobek, the crocodile God, together with his wife, in another form of the Goddess Hathor. The Temple is of Greco-Roman structure, dating back to the year 119 BC, when Ptolemy VI, who started the construction, built it out of limestone . Sail to Edfu. Lunch on board. Visit Horus Temple in Edfu. The site of Edfu Tell was known as Wetjeset-hor (classical name Apollinopolis Magna), the place where the god Horus was worshipped and where the battle between Horus and his traditional enemy Seth in ancient mythology took place. The Temple of Horus at Edfu is the most well-preserved and the only one we know to have been completed. Built from sandstone blocks the huge Ptolemaic temple was constructed over the site of a smaller earlier temple, oriented east to west, towards the river. Sail to Esna. Lunch & Dinner & overnight on board. Breakfast on board. Sail to Luxor. 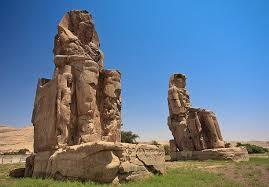 Visit the West Bank – The Valley of the Kings & Queens, Dier El-Bahary & the Colossi of Memnon. 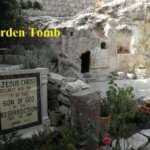 The Valley of the Kings consists of the East Valley, where you can find most of the tombs of the New Kingdom Pharaohs, and the West Valley, which has only one tomb open to the public, and that is the tomb of Ay, who succeeded Tutankhamun to the Egyptian throne. The Colossi of Memnon are two huge ruined statues, around 17m high, once stood at the entrance gate of the mortuary temple of Amenhotep III, though very little of the temple behind them remains today. They were cut from two massive granite blocks, brought from quarries near Cairo, and carved to represent the pharaoh Amenhotep III of Dynasty XVIII. The valley of the queens is located near the better known Valley of the Kings, on the west bank of the Nile across from Thebes (modern Luxor) . This barren area in the western hills was chosen due to its relative isolation and proximity to the capital. The kings of the 18th dynasty, instead of the traditional building of pyramids as burial chambers (perhaps because of their vulnerability to tomb robbers), now chose to be buried in rock-cut tombs. The temple of Queen Hatshepsut of Dynasty XVIII was built just north of the Middle Kingdom temple of Mentuhotep Nebhepetre in the bay of cliffs known as Deir el-Bahri. In ancient times the temple was called Djeser-djeseru, meaning the ’sacred of sacreds’. It was undoubtedly influenced by the style of the earlier temple at Deir el-Bahri & Hatshepsut chose to site her temple in a valley sacred to the Theban Goddess of the West, but more importantly it was on a direct axis with Karnak Temple. Breakfast on board & check out. Visit Karnak temples & Luxor temple. The Temple of Karnak is the largest Temple in the World! The complex contains a group of Temples such as the Great Temple of Amon Ra, The Temple of Khonso, The Ipt Temple, The Temple of Ptah, the Temple of Montho and the Temple of the God Osiris. A 20m high, mud brick enclosure wall, surrounded all of these buildings. The temple of Luxor is close to the Nile and parallel with the riverbank. King Amenhotep III who reigned 1390-53 BC built this beautiful temple and dedicated it to Amon-Re, king of the gods, his consort Mut, and their son Khons. This temple has been in almost continuos use as a place of worship right up to the present day. It was completed by Tutankhamun and Horemheb and added to by Ramses II. Towards the rear is a granite shrine dedicated to Alexander the Great. After the tour, transfer to Luxor airport for flight to Cairo domestic airport. Transfer to Cairo international airport for your departure flight. This morning you will disembark from your Nile cruiser and will be transferred to Aswan Airport for your flight to Cairo connecting with your flight to Johannesburg. If you continue to Israel for a tour of the Holy Land, you may need to add another night in Cairo (not included in tour rate). The flight to Israel is the following morning. Arrive Cairo airport 07:30 AM. Meeting & assistance through passport and customs formalities. Meet our Egyptologist tour guide and travel back to ancient Egypt with a full day touring which date back to 1000 years ago .Our first stop will be at the Pyramids of Giza. A visit to Pyramids is on every world traveler’s must-see list. Cheops Pyramid, the largest of the three with an original height of 496 feet , was built in the 3rd dynasty about 2690 B.C. and is one of the Seven Wonders of the Ancient World. 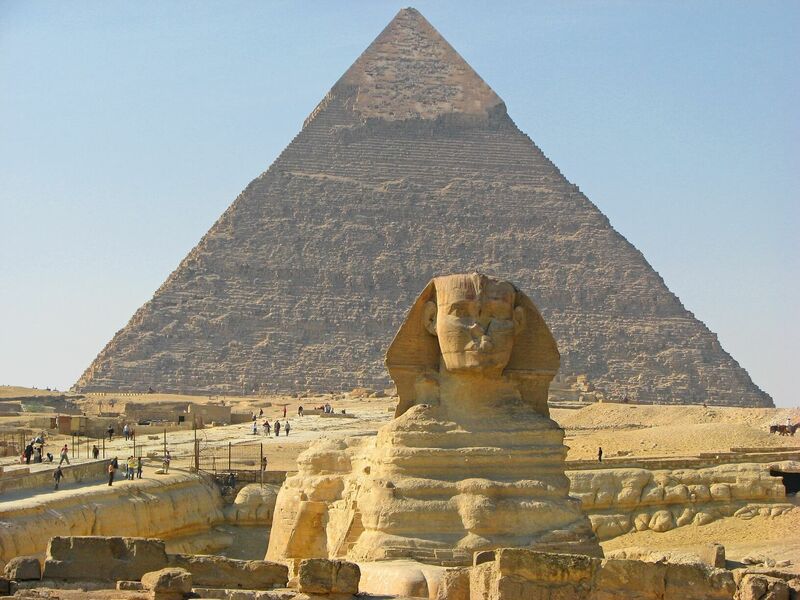 In front of the Pyramids of Chephren, we will find the colossal statue of the Great Sphinx, which has stood guard over the pyramids for more than 4,500 years. The Sphinx carved from a single piece of stone; it is a lion with a Pharaoh’s head thought to be a portrait of the Pharaoh Chephren. Here we will be provided an opportunity to ride a camel by the Pyramids area. Discover the greatest collection of Pharaonic treasures in the world at the famous Egyptian Museum. See the unique collection of Pharaonic art, starting with the Old Kingdom Collection, on to the Middle and New Kingdom galleries and Greco-Roman periods and the famous Tut-Ankh-Amon treasures. 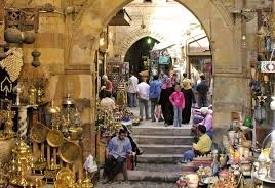 Then stroll with your guide through the Khan El Khalili, a bustling warren of shops where you can bargain for rugs, copper and leather crafts, perfumes, and other goods both exotic and familiar.